At Alpine Therapeutic Massage: Aromatherapy is an “Essential” part of your treatment. 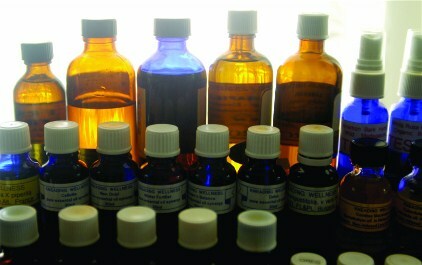 Phoenix has been a Certified Aromatherapist since 1993. It contains detailed descriptions of how Aromatherapy works with over 30 Essential Oils including: Their history, uses, physical and emotional properties, blending tips, hydrotherapy and much more. 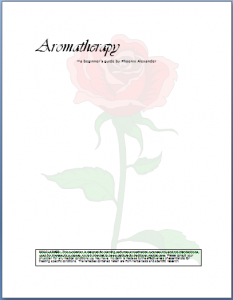 Get recipes and ideas of how to use aromatherapy in your everyday life. Includes which oils are safe for pregnancy (since not all essential oils can be used). $15. The report is a downloadable pdf format report. I have contracted with an excellent supplier of quality Aromatherapy products and Essential Oils. You can now buy essential oils directly from my site. The following helps you learn a little more about the Therapeutic Benefits of Aromatherapy using Essential Oils. Essential Oils are concentrated extracts from roots, wood, leaves, seeds, herbs, fruit, and flowers of aromatic plants. Unless it is derived exclusively from one plant, with no chemical or synthetic additives, it is not an Essential Oil. Chemically derived fragrances, although pleasing, offer none of the therapeutic and subtle healing qualities found in real essential oils. Many fake scents cause headaches, asthma, and other health problems. Just because it smells good does not make it Aromatherapy! All essential oils are antiseptic; some are also antiviral, antibiotic, and anti-fungal. Aromatherapy targets the nervous system, digestive system, lungs, etc. Essential Oils are highly fragrant and evaporate easily. The term “oil” is a little misleading, as essential oils are not really oils like a vegetable oil. Is very laborious, because large amounts of plant material yield small amounts of oil. Essential Oils, like Eucalyptus, Tea Tree, and Orange, have a relative high yield of Essential Oil in comparison to the plant material need to make it. However, it takes 5,000 Jasmine flowers to make 1 pound of Absolute of Jasmine. It takes 1000 pounds of chamomile flowers to produce 1 pound of Chamomile Essential Oil. And 5,000 pounds of red rose petals (the most prizes are Bulgarian Roses)—which are picked just after the morning dew; when the fragrance is at its peak—to make 1 pound or Rose Essential Oil! Obviously it is one of the more expensive Essential Oils. Essential oils must always be diluted in a carrier or emulsifier and usually used in a 2% – 5% concentration. Historically many ancient cultures used Essential Oils and aromatic plants for healing, in religion and ceremony, and skin care and perfumery. Modern use of plant oils began in 1910 when a French chemist, Rene Maurice Gattefosse, burned his arm in a chemical explosion in his lab. He plunged his arm into a nearby vat of Lavender Oil. The arm healed astonishingly quickly with no scarring. This led Gattefosse to study and document the properties and uses of essential oils for the rest of his life. Currently, the FDA has not approved essential oils for medical applications. Scent is processed in the brain in the limbic system, the area that is involved with processing emotions and memories. We have all had the experience of smelling a certain scent that triggers a memory or perhaps just a feeling in us. This tie to our emotions makes Aromatherapy ideal for affecting our mood. Essential oils alter mood by either sedating or stimulating the nervous system. Some act on specific emotions. The part of the plant from which the oil is extracted gives us clues as to its most effective applications of Aromatherapy. For instance, oils like Eucalyptus, which are extracted from the leaves where the plant “breathes”, are excellent for lung complaints. Oils from the roots help to “ground” us or make us feel balanced and confident. Oils like Neroli, Lavender, Jasmine, and Rose, which are extracted from flowers, have uplifting qualities that help us cope with emotions like grief, depression, and anxiety. Massage is a very effective application of Aromatherapy. During an “Aromassage”, the essential oils are absorbed by the lungs through inhalation and into the skin through the pores. They circulate through the body for several hours before being eliminated. An extensive knowledge of essential oils and their properties is needed to effectively evaluate and respond to the needs of the massage client. It is wise to get an Aromassage from a Licensed Massage Therapist, who has a lot of practice with Essential Oils or who is a Certified Aromatherapist. A Certified Aromatherapist can even design Custom Essential Oil blends best suited to your personality and physical health. Caution should be used when using Essential Oils. Keep out of reach of children and pets. Always use diluted, except in an “aromatic diffuser”. Consult an Aromatherapist or Aromatherapy book to see which oils are safe if you have any of the following conditions: epilepsy, pregnancy or nursing, high or low blood pressure, asthma, cancer, sensitive skin, or allergic reactions. Babies and young children should not use certain oils and oils must be diluted to 1/2 to 1/3 the adult concentration. CAUTION: NEVER take essential oils internally! A few drops of your favorite Essential Oil added to the dish soap will undoubtedly make washing dishes a more pleasant chore. Add the essential oil to the soap and then add the water. (Essential oils are not water-soluble and need a “carrier” or “emulsifier” to disperse them evenly in whatever application you are using them. Always add essential oils to the carrier or emulsifier first and then to the water.) Recommended essential oils: Citruses, Lavindin, Mints, Cinnamon, Clove, (spice oils). Add a few drops of oil to your mop water with whatever cleanser or soap you use to clean the floor. Recommended oils: Mints, Citruses, Lavindin, Anise, spice oils. A few drops of oils like Lavindin, Mints, or Cedarwood add a fresh, fragrant touch to your laundry. Add them to the final rinse cycle of the washer in the last few minutes and agitate them around with your hand to disperse the oils. Or put a few drops on a cotton cloth and toss it in the dryer the last few minutes of the cycle. Put a few drops of essential oil on the cardboard of the toilet paper roll to give it some antiseptic qualities as well as a pleasing scent to your bathroom. 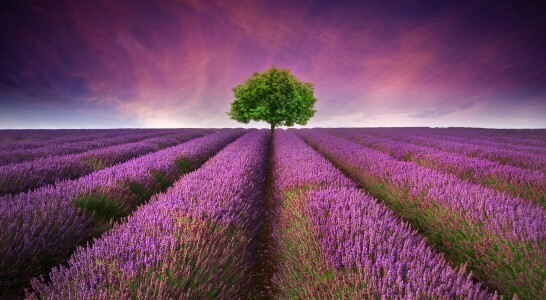 Lavender and Rosemary can be made into sachets to repel moths from your clothing. Use essential oils in your homemade potpourri. It’s usually more economical than commercial fragrance oil because of its concentration. Commercial potpourri fragrances are synthetic and chemically derived unlike natural essential oil fragrances that give the added benefit of being antiseptic and working on the emotional and physical planes to enhance your wellness. Using natural fragrances can actually boost your immunity and your sense of smell. Scent your stationery by adding a drop of oil to a tissue and storing it in a closed container with the stationery. Essential oils can be diffused into the air in an “aromatic diffuser” which breaks up the molecules of the essential oil and disperses them over larger areas than they would reach without the diffuser. Essential Oil blends can be made for the diffuser to treat many specific conditions such as lethargy, headache, anxiety, or to fight viruses and bacteria. A diffuser at the office can increase productivity, improve concentration, and fight germs. Try diffusing some lively oils at the gym to open up the lungs and stimulate your mind and muscles. In the boudoir, aphrodisiac blends can be diffused to create a luxurious romantic mood. A drop of Essential Oil in the hair will keep it delightfully fragrant all day. Oils such as Jasmine, Rose, Patchouli, Ylang Ylang, and Sandalwood are reputed aphrodisiacs. Get an “Aromassage” with Essential Oil Massage blends to suit your mood, personality, and physical health. Bath Salts blended for their therapeutic qualities can enhance relaxation and give you an “attitude adjustment” or address a physical condition. Essential Oils greatly enhance skin and hair care products. Use them in cleansers, toners, and facial oils for moisturizing. They can be made specifically to suit your skin and hair type (dry hair, dandruff, sensitive skin, mature skin, etc.). Essential Oil “body oils” can be used before or after the bath for nourishing and moisturizing the skin. If You’re Ready To Get Started Using Essential Oils–Start Here!